Rugby legend Scott Hastings has praised the efforts of Monifieth and District Rotary Club to raise funds for the charity Motor Neurone Disease Scotland. Monifieth is running its annual charity golf event over Monifieth Medal Course on Sunday (August 26) with MND Scotland as one of the principal beneficiaries. 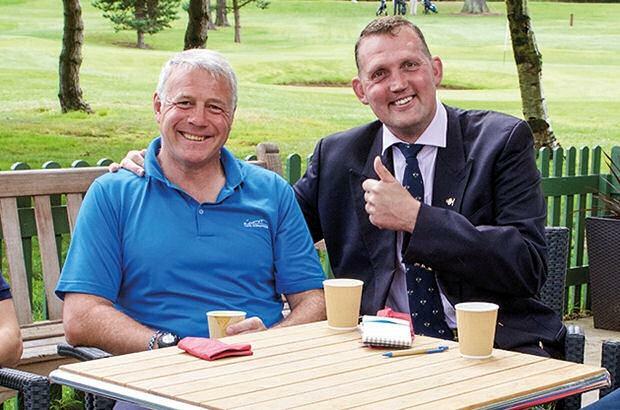 Scott, a friend of fellow rugby star and campaigner Doddie Weir who has been diagnosed with MND, said yesterday: "As a patron of MND Scotland and chairman of My Name5Doddie Foundation I would like to wish the Rotary Club of Monifieth and District all the very best for their charity golf day. I am very grateful that they are able to support both charities and that one day we will find a way to slow, stop and reverse this disease." The golf day is for teams of three, with a car on offer as a prize for a hole in one at the 11th. A small number of tee times are still available. Anyone who can organise a team of three and would like to play over this famous course on Sunday to help this vital cause is invited to contact Ken Inglis at ken@keninglis.co.uk.